The Ordinary Life of an Extraordinary Girl: T21 - the great connector! T21 - the great connector! 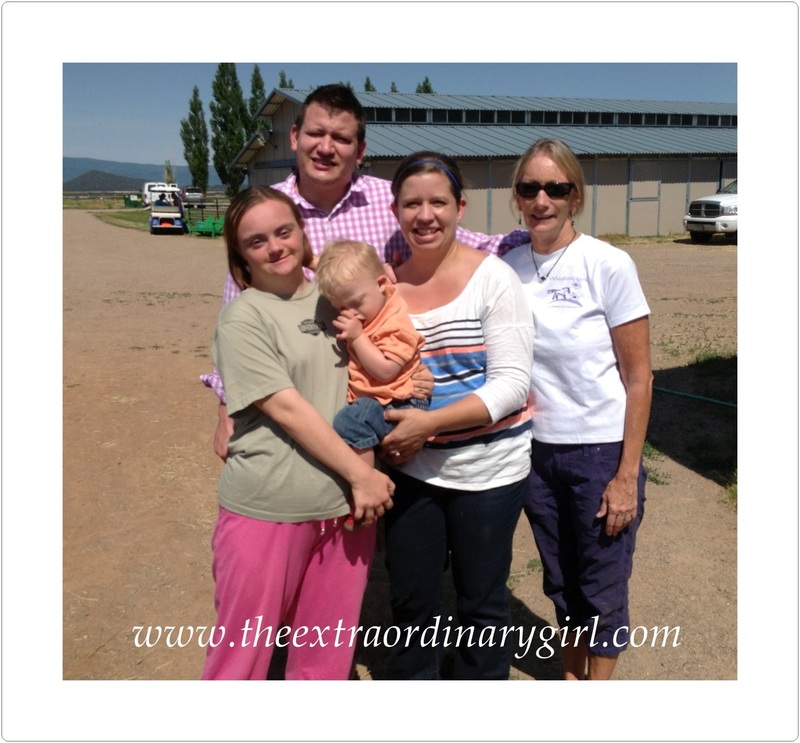 The extra copy of chromosome 21 in people with down syndrome does many things. We are all familiar with the common attributes of people with down syndrome including developmental delays, low muscle tone and distinguishing facial features. But what people without down syndrome in their lives do not realize is that the 47th chromosome is the connector that joins us from every end of the country and in fact the globe. If you have a family member with down syndrome there is no 6th degree of separation, in fact there is no separation at all. This has been proven to me over and over again. I have been following a number of blogs and although I am drawn to the stories of teenagers and young adults as they find their own way, I do enjoy the younger crew. I have had the pleasure of meeting a few of my cyber friends and look forward to meeting some more when Alex begins college at the University of Cincinnati. Alex will be there next week for orientation and will be spending a night with Susan and her family. More on that later. Noah is one of those babies/toddlers I have been following. His parents, who live in Texas, are incredible advocates, and his father Rick chronicles Noah’s growth and development through his facebook page and his website. He is quite well known in the DS community. Noah’s Mom and I have communicated for the last few years because she and Alex graduated from the same high school and Abbie’s parents still live in our community. 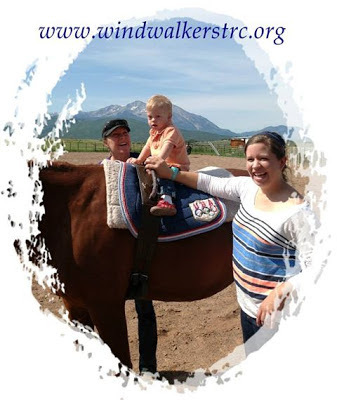 Abbie has kept up on Alex and follows our blog, The Ordinary Life of an Extraordinary Girl (please like our page) and knew that both Alex and I worked at WindWalkers, an equine assisted therapy and learning center (please like our page). Last week Noah’s grandmother called WindWalkers to schedule a lesson for Noah and his two cousins while they were in town for the holiday week. Therapeutic riding is a wonderful therapy for people with all sorts of challenges, and for someone like Noah the act of trying to balance on the horse helps core strength, leg strength and focus. For those interested in learning more, check out this article about Alex and WindWalkers from 2011. 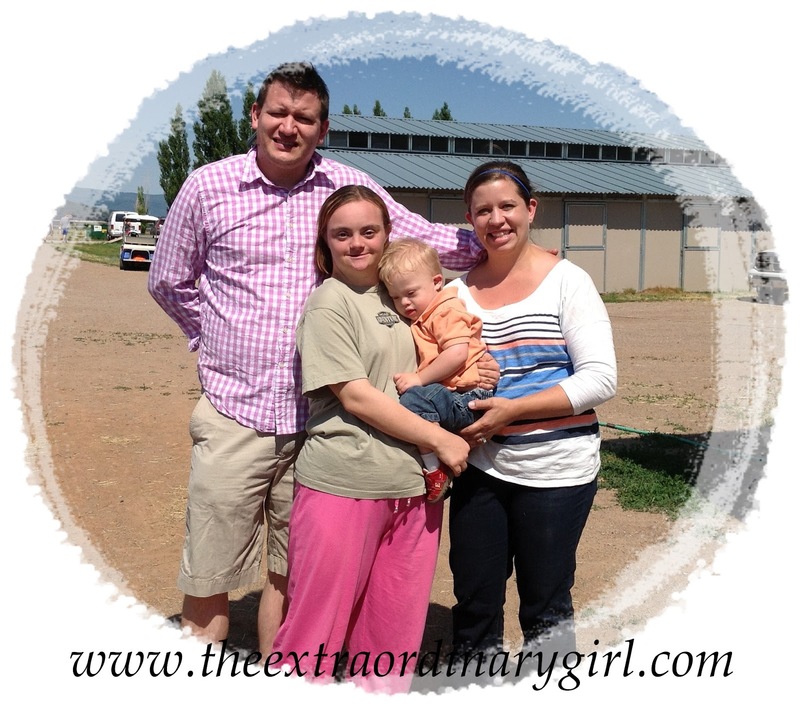 We enjoyed meeting Noah and his family, they are very lovely people. And as it turns out Noah developed quite a crush on Alex. But how can you blame him? Meeting Noah, Rick and Abbie was just another example of a wonderful, unexpected bond caused by a random genetic anomaly. I have almost stopped being amazed at the friends I have made through that single chromosome, the support we share and the strength we have as a community. It is a gift I never knew I wanted. However, that does not mean that down syndrome is always a great thing. Our kids have health issues, a higher insistence of early onset of Alzheimer’s, and will most likely never know the joys of having their own children. My friend Becca, over at the Bates Motel asks a very good question – what mysteries do you want to see unraveled for the future of your child with down syndrome – certainly food for thought. Join the conversation.